Abstract Expressionism and a Japanese Garden. Michelangelo and Miller Outdoor Theatre. Paleontology and Primates. These are just some of the creative connections to be made from Houston’s Museum District being adjacent to the city’s massive Hermann Park. Founded in May 1914 by real estate investor and industrialist George H. Hermann, the park today is one of Houston’s showcase destinations. Spanning 445 acres, this urban greenscape boasts upwards of 10,000 trees, some of which are approximately 100 years old. Having the park in the Museum District – which is one of the largest walkable cultural districts in the country – is a major perk for those who live in the area. While homes and high-rise condos in this part of the city can cost a million dollars or more, there are now more affordable options. One of these is Museum BLVD, a mid-rise condominium community being developed by Surge Homes. Offering one- and two-bedroom single level homes, as well as two-story, two- and three-bedroom penthouses, each one comes with European-inspired design packages for homebuyers to choose from, stainless steel kitchen appliances, and a Quality Assurance Program that includes a 10-year transferable Home Buyers Warranty and a Master Insurance Program. 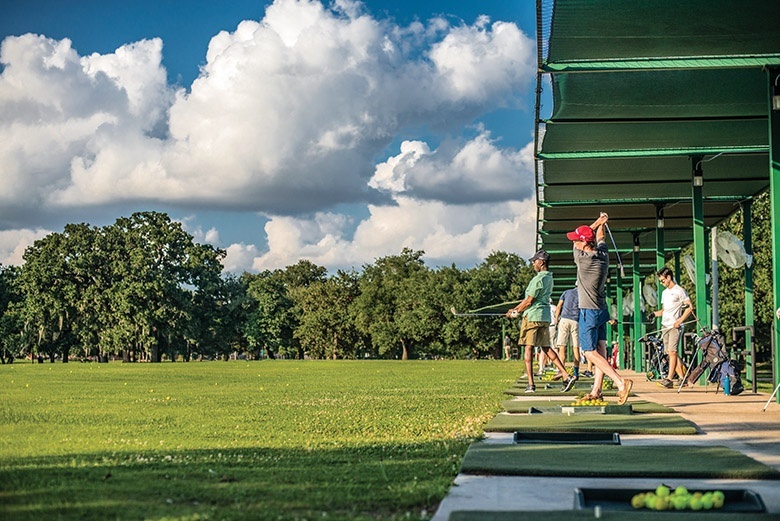 With Hermann Park as your front yard, you’ll never feel like you have “nothing to do.” All year long, the park offers activities, programs, shows and opportunities that can keep you energized, or help you enjoy your downtime. One of the newest attractions is the McGovern Centennial Gardens, which opened in 2014 in celebration of the park’s 100th birthday, and is only a 4-minute bike ride from Museum BLVD. There are four themed garden “rooms” – rose, arid, woodlands and celebratory – and the park is sprinkled with historical statues and engraved benches. There is a two-mile trail that runs around the public golf course for hiking and biking, or try a trek in the Urban Forest at Bayou Parkland. There’s also the Hermann Park Railroad, an attraction for 50+ years that takes visitors throughout the park, and the Pedal Boats at McGovern Lake. 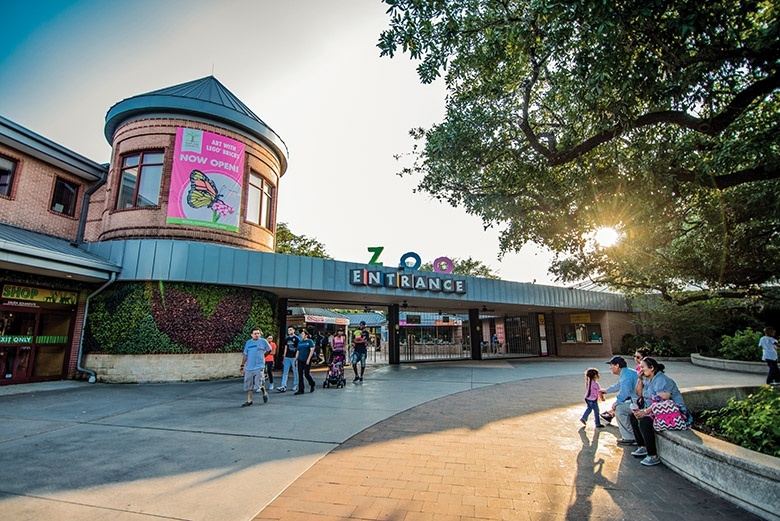 There are also two somewhat separate entities within the park: Miller Outdoor Theatre and the Houston Zoo. An architecturally stunning peaked-roof amphitheater on a hill, Miller Outdoor Theatre has been around since 1923 -- almost 100 years. In all that time, it has hosted thousands of free and fabulous programs, plays and performances. Visitors can sit in ticketed seats under the shelter or they can bring picnic suppers, blankets and chairs and sit on the hill under the stars. The Miller stage is home to a wide range of dance performances, from all kinds of cultural dancing – Asian, African, Tango -- to the Houston Ballet. It also presents the annual Houston Shakespeare Festival and several Broadway shows. It also hosts Movies at Miller, where popular classics like “Grease,” “Beauty and the Beast” and “Jurassic Park” are show on the big screen under the big Texas sky. The other brag-worthy attraction in the Park is the Houston Zoo. It’s a safe bet that anyone who grew up in Houston has spent a day or five at the Zoo. It opened in 1922 as a small, fenced-in area with only a few animals and grew to what it is now – a world-class 55-acre facility with 6,000 animals of 900 species. There are several specialized habitats, including the African Forest with gorillas, giraffes and rhinos; to the McNair Asian Elephant Habitat that completed a huge renovation of the complex in 2017; and the Kipp Aquarium with sea turtles, octopus and sharks. The zoo also has several special events throughout the year. Evening Chill in the summer has the zoo staying open late for some fun in the (fake) snow. Feast with the Beasts brings in 60 area restaurants to give samplings of their specialties while guests wander through the zoo enjoying the habitats. And perhaps the most popular event is Zoo Lights, a holiday spectacular when the whole zoo is festooned with garland and sparkling lights. There are special events in the park itself, as well, including yoga sessions, the Park to Port Bike Ride (from Hermann Park to the Port of Houston), the Run in the Park (1K, 3K and 5K), and the Annual Kite Festival in the Spring. 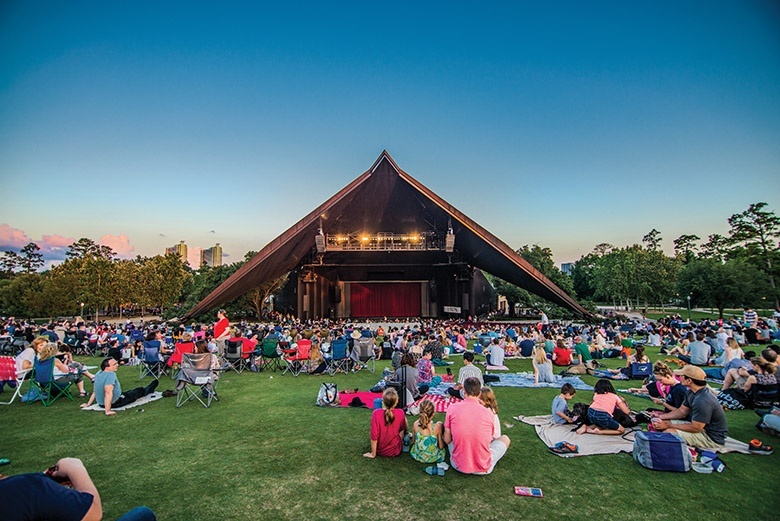 So, besides having one of the finest Museum Districts in the country at your doorstep, living in this area of town also gives you instant access to the crown jewel of Houston’s parks system – Hermann Park. 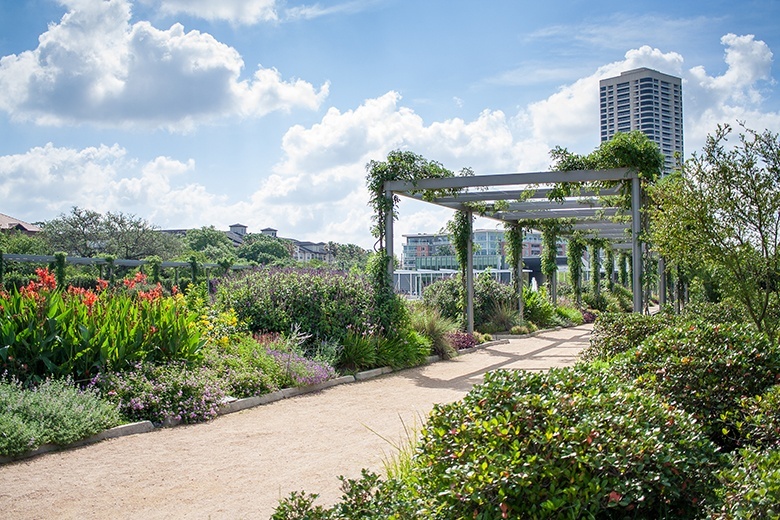 Stroll, walk, hike, bike, pedal a boat or ride a train to enjoy Houston’s natural bounty. 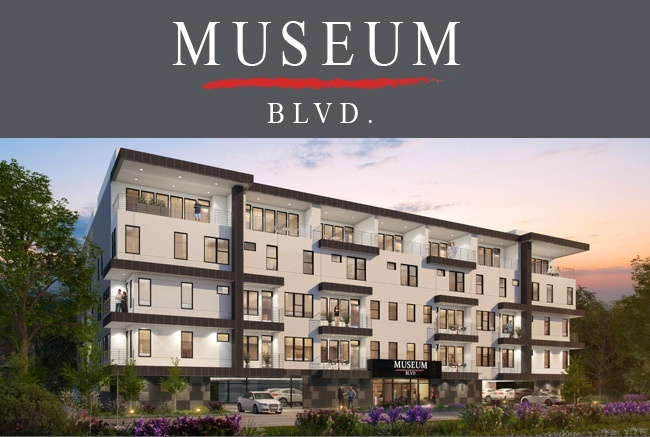 As a homeowner at Museum BLVD, you can have it all. It’s the right address at the right price.